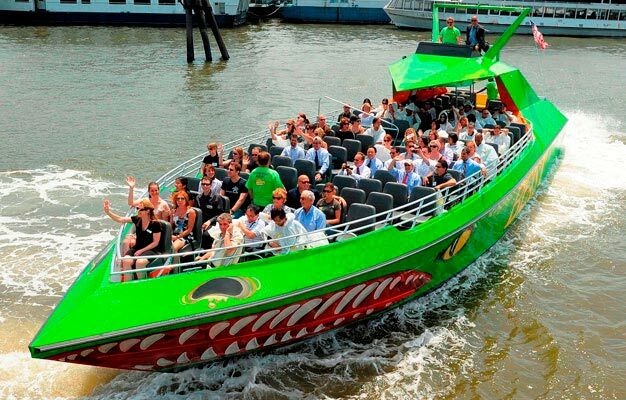 Book tickets to The Beast Speedboat in New York! Race through Manhattans skyscrapers on the ride of your life. It's really fun and you will never forget this. Buy tickets to The Beast here! New Yorks very own thrill ride! Don’t miss out on this wild ride ”The Beast”! Your captain will take you through New York harbour for at wet n’ wild ride you will never forget. Hold onto to your hats and glasses for 30 fantastic fun-filled minutes racing past the skyscrapers at 45mph. There will be a stop for a close-up and a quick photo opportunity of the Statue of Liberty. Prepare yourself... It’s a pure thrill! - The tickets will be sent to your e-mail address immediately after you have completed your booking and your payment has been approved. - Please note you might get wet on this cruise/tour. - Does not operate between Oct. and Apr. Daily every hour between 10:00pm and 6:00pm. Does not operate between Oct. and Apr.